A friendship is tested in this irresistible page-turner from "New York Times" bestselling author Elin Hilderbrand.Nantucket writer Madeline King couldn't have picked a worse time to have writer's block. Her deadline is looming, her bills are piling up, and inspiration is in short supply. Madeline's best friend, Grace, is hard at work transforming her garden into the envy of the island with the held of a ruggedly handsome landscape architect. Before she realizes it, Grace is on the verge of a decision that will irrevocably change her life. Could Grace's crisis be Madeline's salvation? 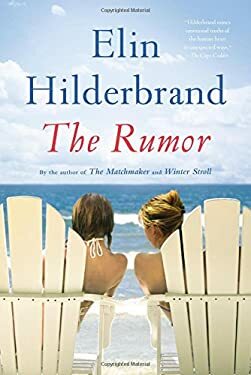 As the gossip escalates, and the summer's explosive events come to a head, Grace and Madeline try desperately to set the record straight--but the truth might be even worse than rumor has it.